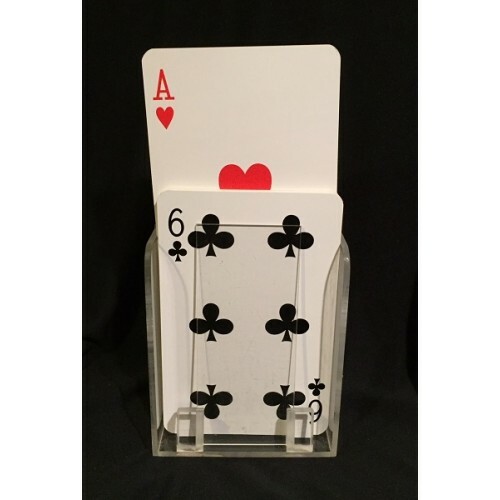 The classic “Rising Cards” plot is simple and powerful.... several cards freely selected by audience members rise mysteriously from a deck. You can state it in a single sentence. It's pure, unadulterated MAGIC. You can wave your hands as the cards rise, or stand stock still. 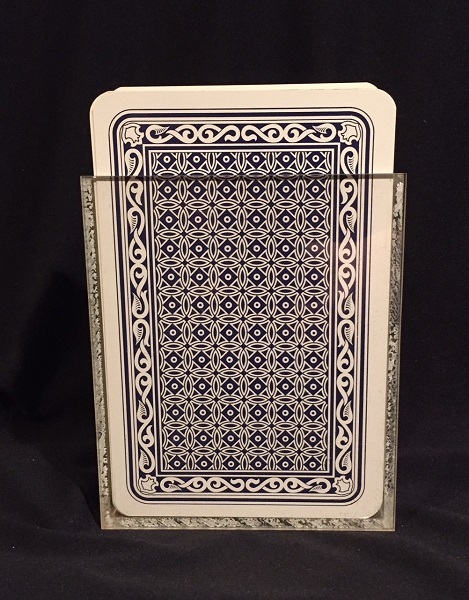 When the cards rise from the deck, the audience is mesmerized. They see no attachments....no nothing. It is MAGIC. The late Dutch magician Tony Anverdi was known for his clever methodology, often involving intricate electronics. One of his finest “signature” creations was his Rising Card outfit...especially the “two way” version. That's what I'm offering here. Why “two way”? That means you're capable of not only making a selected card RISE from the deck, but also DESCEND back into the deck. With this outfit, you're capable of making a card rise from the deck, but it's the wrong card....so you make the card sink back into the deck. Then, the CORRECT card rises from the deck! You can only do that with a “two way” deck. The original owner of this outfit was a cabaret and stage performer in Great Britain. He had the late Al Glennan (another legendary maker of fine magic) convert the wireless remote control so it could be used in a trouser or coat pocket without having to actually put your hand into the pocket. If you're familiar with original Anverdi rising card remotes, this one was made slightly larger with the buttons more pronounced, and with one on each end of the remote, rather than side by side. This way, the buttons may be easily actuated while in a pocket and there's no danger of accidentally hitting the wrong one. I've just checked this unit out thoroughly and it works PERFECTLY. The deck responds instantly to the remote and the motor is ULTRA SILENT. 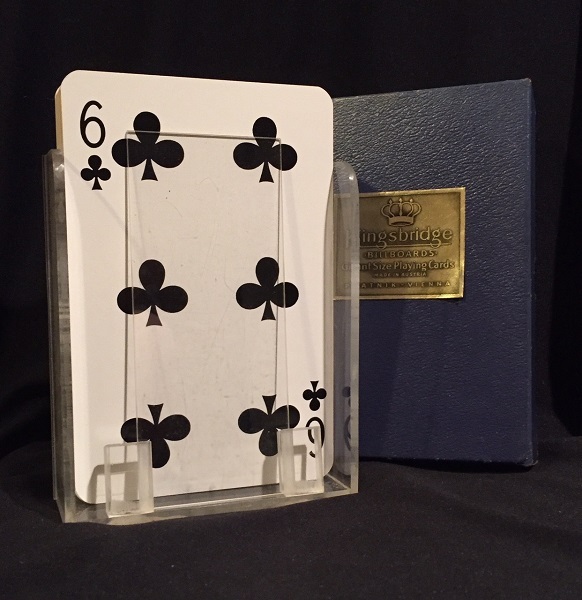 Comes complete with the original Piatnik deck, extra Piatnik jumbo cards, lovely lucite houlette with tension plate, remote, and two cards that can be used for the “wrong” card bit (of course, it's very easy to make another if you have a specific card you want to rise first, then sink down and change into another card). Also, if you wish, you can easily change this deck from a Piatnik style to jumbo Bicycles, although it's not necessary for the audience to even see the backs of the cards. The Anverdi two way sets are scarce....they don't come up that often, and this one with the special remote is a one-of-a-kind. This is in my “Used/Collectible” category.... I have this ONE ONLY. If you're interested., please do NOT hesitate!